There’s perhaps no better-known name in the GovCon community than Hillen’s. A former national security official turned CEO turned faculty, Hillen successfully parlayed his years of experience and leadership in government contracting and business into a role as executive in residence and professor of practice at GMU’s School of Business. There, he teaches courses in leadership, strategy, international business strategy, entrepreneurship and specialty EMBA and MBA courses on business issues in national security and the GovCon industry. He also writes a regular column for Washington Technology, highlighting topics such as Trump and the GovCon Market and problem employees. Hillen isn’t content being idle — ever. 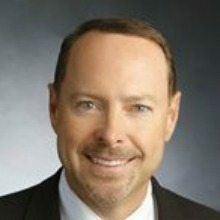 He remains active in the GovCon and business communities, serving on a number of GovCon boards, teaching and sharing insight on executive leadership, strategy and entrepreneurship. Keep an eye on his most recent endeavor: co-writing the book, “What Happens Now? : Reinvent Yourself as a Leader Before Your Business Outruns You,” due out in May. The book talks about how to avoid the “organizational wreckage” that happens when the growth of an organization outruns executives’ skills. Seriously? The ManTech Executive Team is the most boring, uninspirational management team that you could imagine.